The Tyrconnell family has recently been expanded with the launch of a range of 10 Year Old Wood Finishes. 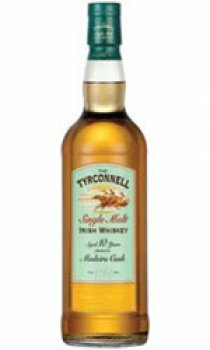 These bottlings add complexity and extra layers of flavour to the soft and elegant taste of Tyrconnell Irish Single Malt. Tyrconnell Irish Single Malt whiskey is initially matured in American Oak barrels. Just as the famous Tyrconnell race horse proved - It's All In The Finish.